Over the last two decades, multiple initiatives of transdisciplinary collaboration across art, science, and technology have seen the light of day. Why, by whom, and under what circumstances are such initiatives promoted? What does their experimental character look like - and what can be learned, epistemologically and institutionally, from probing the multiple practices of "art/science" at work? In answer to the questions raised, Practicing Art/Science contrasts topical positions and insightful case studies, ranging from the detailed investigation of "art at the nanoscale" to the material analysis of Leonardo’s Mona Lisa and its cracked smile. 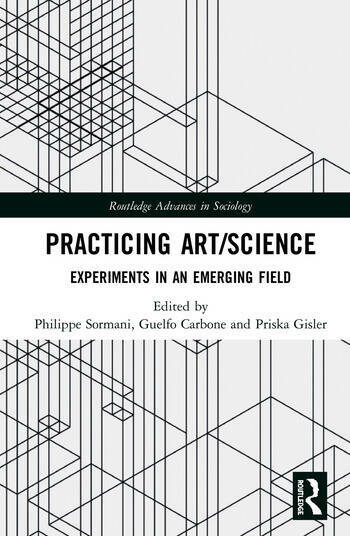 In so doing, this volume brings to bear the "practice turn" in science and technology studies on the empirical investigation of multifaceted experimentation across contemporary art, science, and technology in situ. Against the background of current discourse on "artistic research," the introduction not only explains the particular relevance of the "practice turn" in STS to tackle the interdisciplinary task at hand, but offers also a timely survey of varying strands of artistic experimentation. In bringing together ground-breaking studies from internationally renowned scholars and upcoming researchers in sociology, art theory and artistic practice, as well as history and philosophy of science, Practicing Art/Science will be essential reading for practitioners and professionals in said fields, as well as postgraduate students and representatives of higher education and research policy more broadly. Epistemics and Aesthetics of Experimentation: Towards a Hybrid Heuristics? Guelfo Carbone holds a PhD in Philosophy and History of Philosophy (Sapienza University of Rome), and is a member of the Editorial Board of the philosophical Journal "Pólemos. Materiali di filosofia e critica sociale". Priska Gisler is head of the research cluster Intermediality at University of the Arts, Bern, Switzerland, and board member of the Swiss Artistic Research Network (SARN).